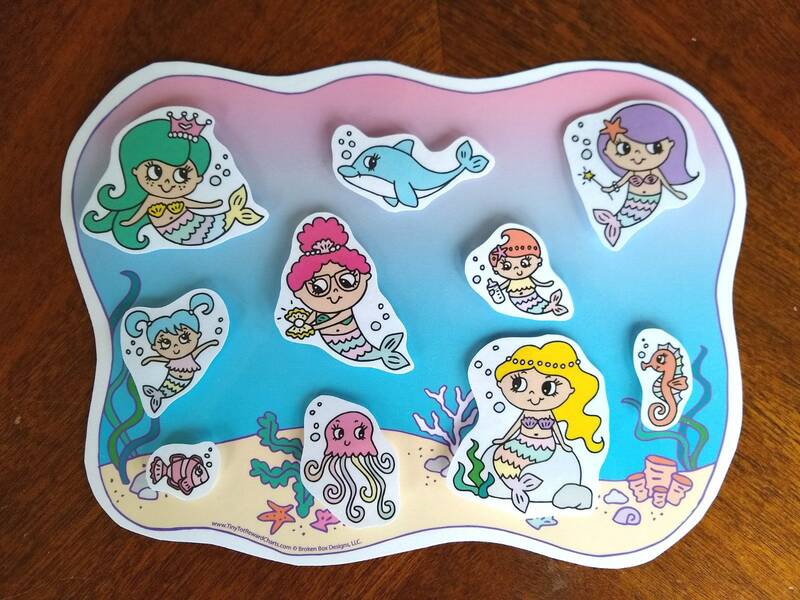 10 adorable tokens include: 4 mermaids, 2 baby-mermaids, dolphin, clownfish, jellyfish and starfish. 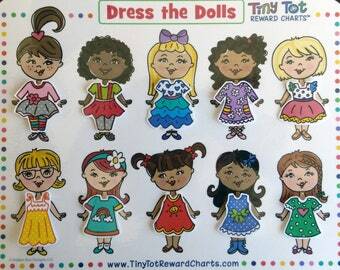 1) Hang the empty reward chart by peeling off the adhesive backing on the back of the chart. 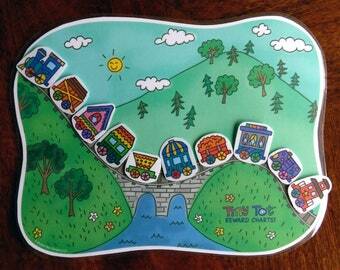 2) Fill the "Parent Page" with all 10 reward tokens and set aside (out of child's sight). 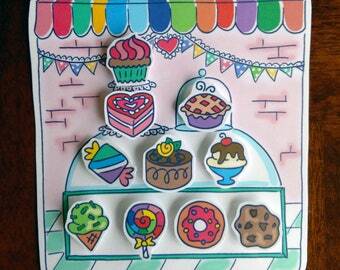 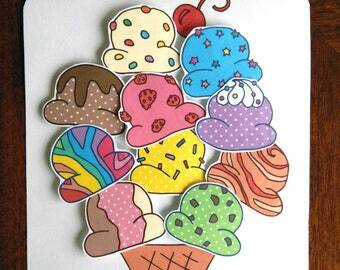 3) Reward child's good behavior with a token of their choice from the "Parent Page". 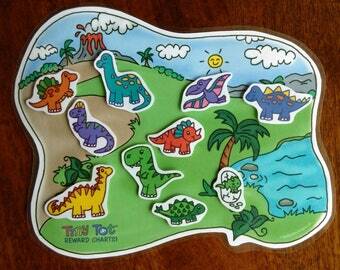 4) Child attaches reward token to the chart using the Velcro dots. 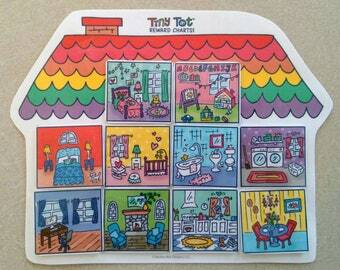 6) Transfer the 10 tokens from reward chart to the "Parent Page" and use again!